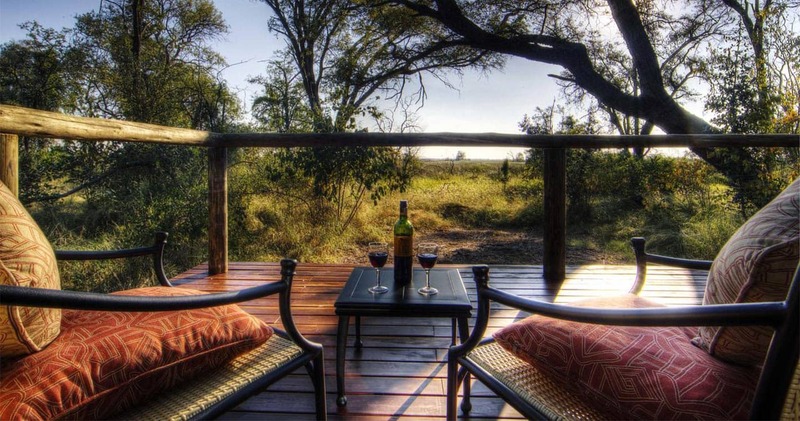 Situated in the world-renowned Moremi Game Reserve, Camp Moremi enjoys breath-taking vistas over the Xakanaxa Lagoon. 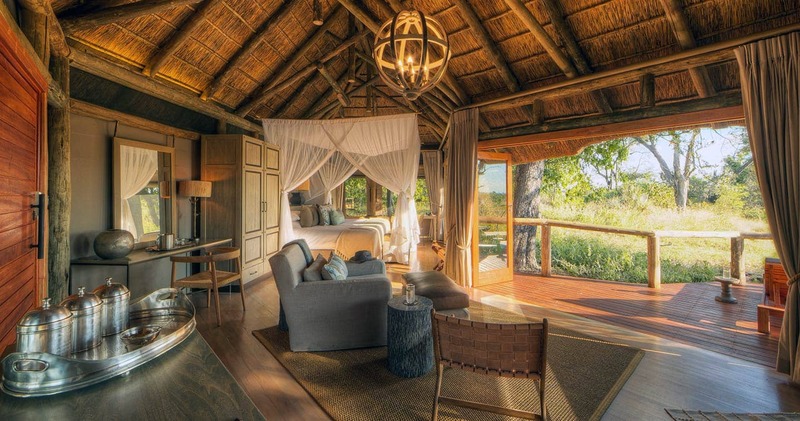 Nestled within a natural riverine forest of teak and ebony trees, twelve tented safari suites have an East-African flavour and a classic touch. 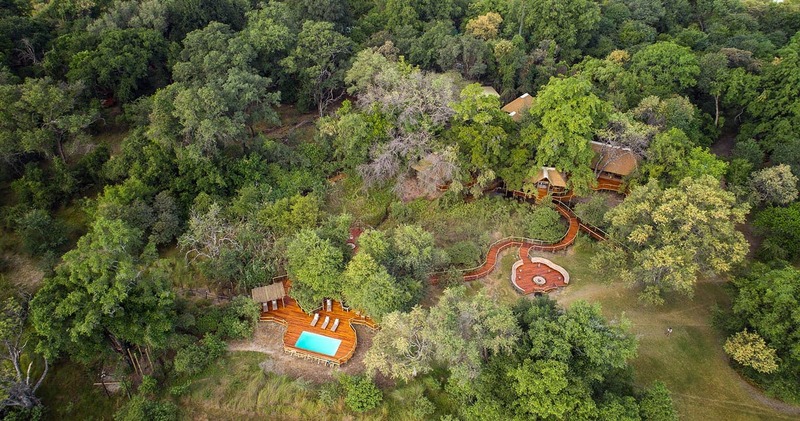 Hidden in lush green trees and branches, it feels like you are walking in an African fairytale forest. Enjoy outside dinners under an amazing starry sky, let a professional staff pamper you with their humour and warmth, dive in the large pool, start your day with homemade pancakes and enjoy excellent elephant, lion and leopard sightings (among many other species). With no Wi-Fi connection, you are truly away from your fast pace life. Move with the rhythm of elephants, smell the sweet, warm breeze and explore African land and waters - you will leave Camp Moremi with an everlasting experience (and new friends). Feel at home. 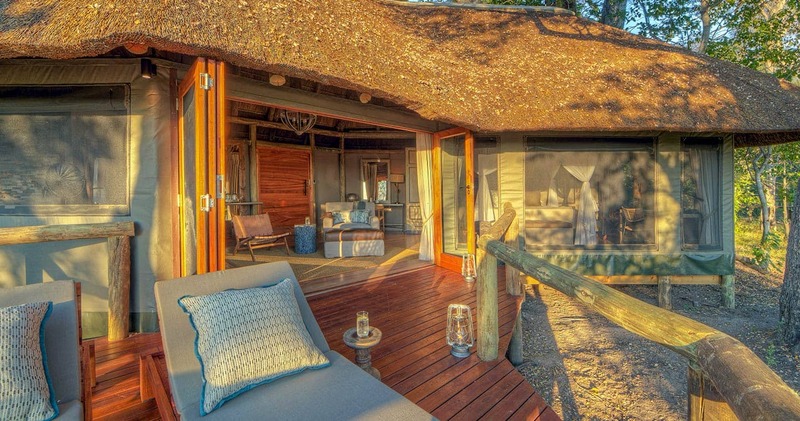 The suites feature glass sliding doors opening out to private decks where you can enjoy manicured bush views and an attractive woodlands setting. 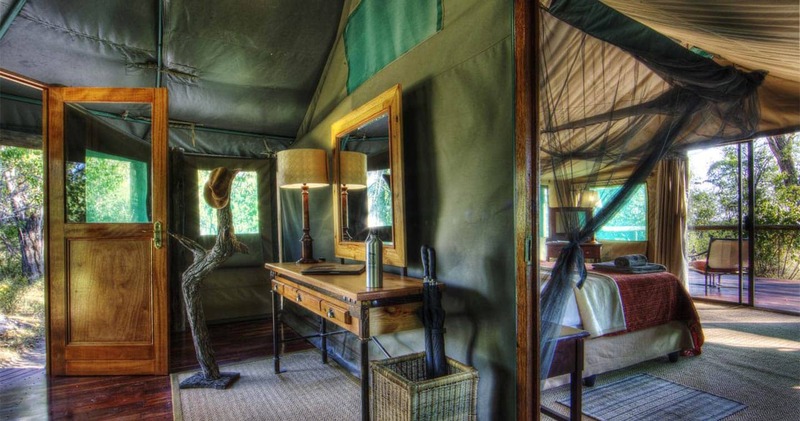 All tents are beautifully decorated, with a soft, king size bed, luxurious en suite bathroom, comfy chairs and a desk to write down all your safari memories. Traditional thatch and timber communal spaces invite you to relax or read, since the elevated lounge includes a wildlife reference library. Nestle yourself down on the viewing platform and marvel at extensive panoramas, mind blowing sunsets (with amazingly coloured African skies), and hippos at the lagoon. 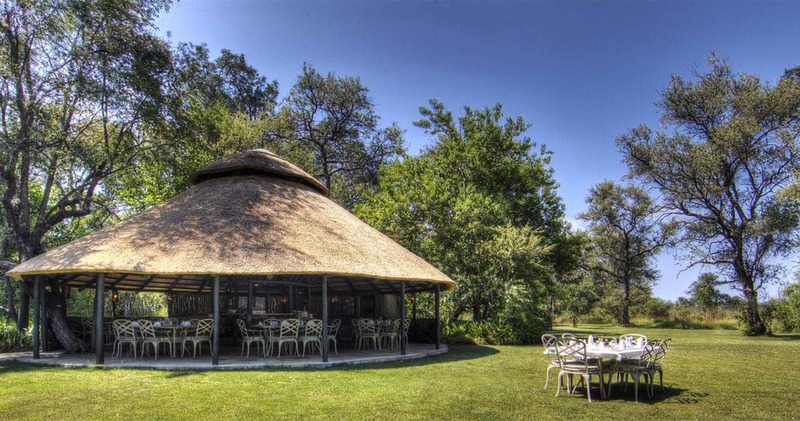 For breakfast, lunch and tea, of course, venture out to the outside boma. There is nothing like a meal in the fresh African air. After an exhilarating safari day, order yourself a cocktail at the bar and reminisce about today’s wildlife sightings, while a homemade dinner is prepared. 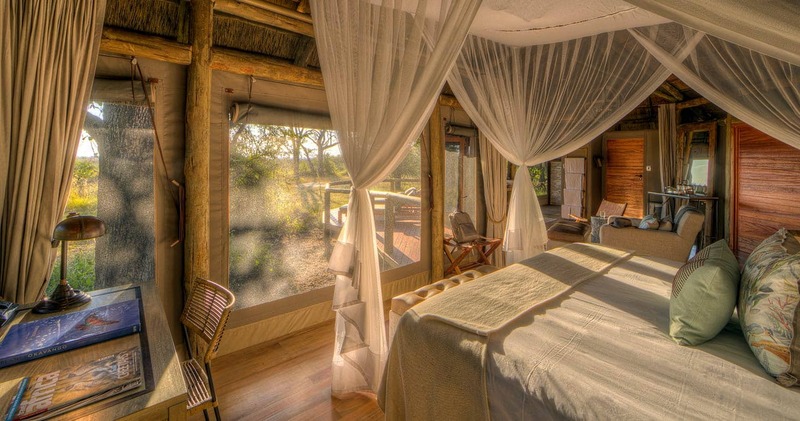 Camp Moremi is located in a diverse area: you will explore African bush, large open savannahs, lush green forests, water holes (attracting an abundance of thirsty wildlife) and papyrus-filled, Delta waterways. You will enjoy tracking big game during morning and evening games drives, and boat excursions to discover bustling river life. Although night drives and off-roading are not permitted through the Moremi, the camp’s premier setting ensures you are always part of the natural wilderness. A boat excursion is a particularly unique, Delta experience. Glide through tall grasses, blooming water lilies and bump into an elephant herd seeking a refreshing splash. Besides many elephants, lion herds, leopards and hippos, this area is known for a vast number of antelope, including Impala, Kudu and Waterbuck. And do not forget the birding in the area; if it is spring season, you might encounter roosting areas with countless flocks. Also, the imposing Fish Eagle and vivid Malachite Kingfisher are often seen, and even the rare, Pel’s Fishing Owl occasionally makes a visit. Great birding, excellent guides, outstanding wildlife viewing, delicious dinners in the bush, warm, African hospitality – all this makes for an intense safari under the dense green trees of Camp Moremi. This is a dream holiday destination. Harrison made the day tracking down the leopard in the evening at Xakanaxa Camp. Our second visit to this dreamworld. The staff, accommodation, food, activities in fact everything is top notch. Just wish I could spend more time there. Saving like mad for third visit. A wonderful safari experience with memories that will last a lifetime. Incredible personal service that made everyone feel special. Without spoiling things for would-be visitors, the staff lay on some great surprises. Many thanks to Albert, our guide KT and all the fantastic staff. Also the rare wild dog is often seen around this camp! 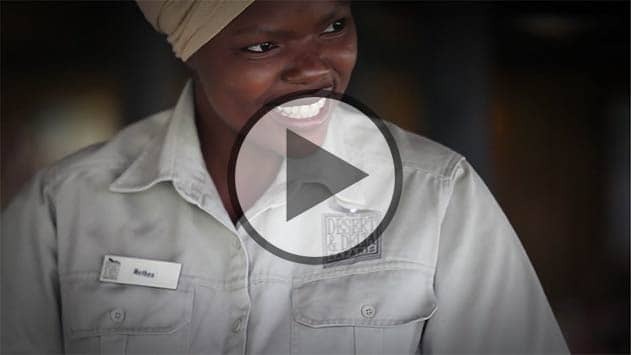 Read all about travelling to Camp Moremi on our getting to Moremi page. Camp Moremi is best accessed through Maun Airport. We hope you have found all information needed to decide that Camp Moremi in Moremi Game Reserve is the perfect place for your next travel adventure. Please fill in the contact form and we will get back to you soon!